The youth of today are the leaders of tomorrow. This phrase is instilled in every young person when they’re born, regardless of the era that they were born in. What happens when these young individuals become independent, and fight for their own rights no matter the stakes? Well ladies and gentlemen, I give you Dear White People. 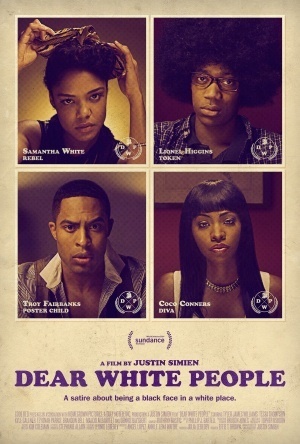 Led by an incredibly talented cast, the Justin Simien-directed film packs quite a punch. Even better, it packs one hell of an intelligently told story through the eyes of college undergrads. Dear White People can best be described as a reality check presented in a poetic long format essay. As the story unravels with the events associated with the characters, there builds a rhythm that all of the characters feed off of when they find themselves in the midst of conflict. On their campus, the racial ignorance and tensions present themselves to the students amidst the debauchery that is teenagers and young adults coexisting in one place for four years. That ladies and gentlemen is college for you. The performances in Dear White People were astounding. Tyler James Williams played Lionel Huggins. 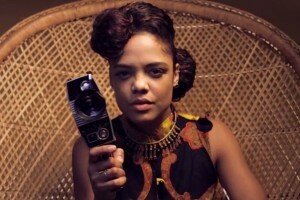 Tessa Thompson played Sam, a young passionate student radical who ‘s standing you for here peers. Her performance was spot on, and ultimately it was memorable. There could definitely be some Oscar buzz spread around for Thompson’s dedication to the big screen. As for the film itself, there is a certain quality that it possesses that separates itself from everyone else. The cinematography, writing, directing, and performances are just a few of them. It’s challenging to delve too much into the film at fear of not doing the film justice. Long story short, go see Dear White People. You will not be disappointed, and you might even learn a little bit. Dear White People opens today in Philly area theaters.